Neglecting the exterior of your home or business could erode its original beauty and monetary value. Unfortunately, using simple domestic cleaning methods on some surfaces is not only tedious but also ineffective. Luckily, ABM Lawn Care has a way out- pressure washing! Pressure washing is one of the best ways to revamp your home and restore its aesthetic value. At ABM Lawn Care, we have the necessary technical know-how, experience, and technology to leave your home sparkling clean. There are many areas of your home that may need our attention. Paved driveways and walkways, patios, decks, and even the exterior siding of your house require regular pressure washing. We make use of equipment and cleaning agents that are highly effective but tender on the surfaces. With our environment at heart, we are committed to ensuring that we only apply cleaning methods that are friendly to the environment. 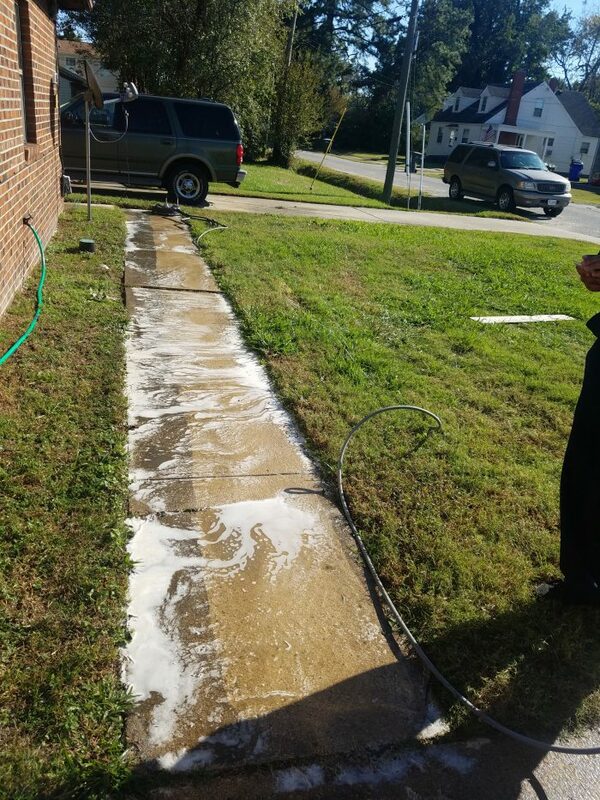 Thus if you are in or around Norfolk, Virginia Beach, or Chesapeake, you can contact us for the most affordable and effective pressure washing services. ABM Lawn Care LLC offers professional pressure washing services to homes and businesses across Norfolk, Virginia Beach, Chesapeake VA and surrounding cities.